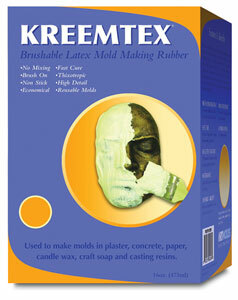 KreemTex Latex is a high quality, easy-to-use, white latex mold making compound for detailed reproductions. It contains the highest concentration of latex solids for better coverage. KreemTex is supplied in concentrated form for spray, brush applications.